The Other Day is a Kent based wedding photography company that provides a bespoke wedding photography service covering the South East. 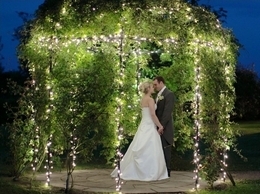 Wedding photographs that capture moments and emotions, full of colour and feeling is our style. I provide creative photography for people, products, commercial, events and architectural areas. With my portable studio I'm happy to travel to your location to carry out a shoot. Covering anywhere in Kent, East Sussex, West Sussex, Surrey or even further afield. North Water Star offers candid wedding photography in Bangalore, Goa, Jaipur, Udaipur, Jodhpur in India as well as in USA, Singapore & Middle East. You will be in good hands, and taken care of from start to finish knowing you will have the most beautiful and timeless photos from your special day. After your wedding you will receive lasting high quality products of your most perfect day. A Natural Pose Photography are a husband and wife team with over 15 years experience. Two photographers, two cameras with two different perspectives which makes sure that we don''t miss a thing! Kent and Sussex based Horse and Dog Photographer Jamie Morgan. Award winning pictures of your dog, horse or pets, in beautiful outdoor locations. 100 mile radius of Kent. I''m a portrait photographer looking to shoot any type of portrait for anyone. We are a photography studio based in Sittingbourne, Kent. We cover portraits, weddings and commercial work. Fully qualified and insured. Kent Wedding Photographer Catherine Hill creates stylish, beautiful, fresh and contemporary wedding photography taken with a relaxed and friendly approach.